Play your music – ScoreCloud notates! ScoreCloud instantly turns your songs into sheet music. As simple as that! Transcribe any polyphonic or monophonic instrument live recording into sheet music. Notating music has never been easier. 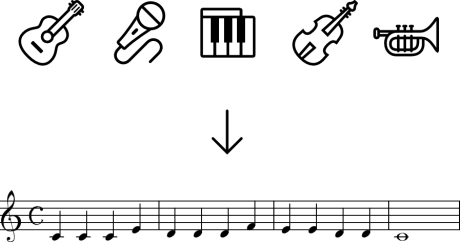 Music notation software ideal for musicians, students, teachers, choirs and bands as well as composers and arrangers. Free to download. All import & export formats.